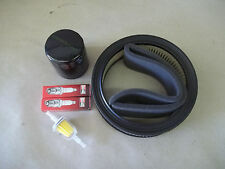 MADE IN U.S.A. Replaces Toro/Wheel Horse Part # 106637. Bin # New Blades. CUT DIRECTIONRIGHT. Here is a left hand headlight bezel for a Wheelhorse Mod. If you are sitting on the tractor it is the one that goes on the left hand side. 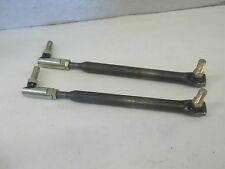 This is a Wheel Horse Models 310-8 312-8 314-8 416-8 516H 520H 315-8 316-8 308-8 518H 512D 520-8 Front Steering Tie Rod Pair. May need adjusted in order to fit. Part No. 78-2900 (285-027). Toro: 78-2900, 78-2900-01. Used Wheel Horse 520-H Garden Tractor, Dash Gauges SET (5) NOT TESTED (Tractor Did Not Run), Removed From Parts Tractor, Check out all My pictures. Parts Removed From Tractor Shown In Last Photo (Complete Tractor NOT For Sale). Used Wheel Horse 520-H Garden Tractor, Onan P220 Engine Air Cleaner Cover, Removed in working order, Cleaned,Ready Too Use. Check out all My pictures. Parts Removed From Tractor Shown In Last Photo (Complete Tractor NOT For Sale). Bin # Pulleys. Replaces Toro/Wheel horse Part Numbers # 9474 And 4975. Used Onan P220 (20HP) Twin Engine Carburetor, Removed from parts engine, not tested, may need cleaned/rebuilt before use From a Wheel Horse 520-H Garden Tractor, Cleaned and Ready To Install, Check out all My pictures. 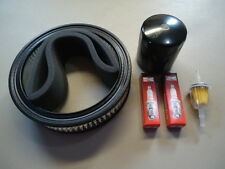 This is an air filter for Toro Wheel Horse Models 516H 518H 520H garden tractors. Replaces Part No. TORO: NN10774. ONAN: 140-1228. ONAN: 140-2522. ONAN: 140-2628. ONAN: 140-2628-01. ONAN NHA NHB, NHC and T26; for 16 thru 18 HP engines. Very nice throttle cable from a Wheel Horse 520-H. Item is in very good usable condition. Used Wheel Horse 520-H Forward Swept Front Axle, Removed in working order. Check out all My pictures. Here is a nice complete seat pivot base from a 520-H. IMPORTANT.GAS SPRING DOES NOT WORK. (I am including it for the hardware). 518H with a P218 OR P220 Onan Engine. 518H And 520H. With the P218, P220 ONAN Engine. 520H with a P218 OR P220 Onan Engine. your lawn tractor (P218 or P220). TORO / WHEELHORSE. Toro Wheelhorse Parts. Has a few minor dings. This item is being sold as a used part. This is the belt that runs from the engine to the transmission. Full list of models included below. Part No. 258-083 crosses to 114895. Toro: 107939, 108502, 112801, 114895, 8160. Toro 31-10K801 (310-8) - Toro 310-8 Garden Tractor (1990)-. Used Wheel Horse 520-H Garden Tractor Hood Assembly, Removed in working order from Tractor, Shows signs of USE (Scratches,Scuffs) NOT All Bent up (Like Most) Very Straight. Headlights are included BUT NOT Tested. MADE IN U.S.A. Replaces Toro/Wheel Horse Part # 112947 And 9171. Bin # New Blades. CUT DIRECTIONRIGHT. This is aWheel Horse 520H Mower Deck Mule Drive. It is used, but in good overall condition. Part listed replaces part numbers and fits machines listed, however there can be other part numbers depending on when the machine was built. MADE IN U.S.A. Replaces Toro/Wheel Horse Part # 117192. Bin # New Blades. CUT DIRECTIONRIGHT. John Deere F910 F911 F912 F925 F935 F932 Front Mow Tractor Adjustable Seat Mount USD 29.99. John Deere 322 332 318 Tractor Power Steering Cylinder Steel Lines USD 24.99. John Deere 322 332 318 Tractor Power Steering Cylinder Rubber Lines USD 24.99. 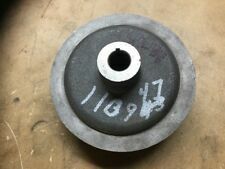 Used Wheel Horse 520-H (60") Outer Mower Deck Spindle Assembly, Removed in working order, Good Shape, Looks Like New Bearings installed (Turns Over Freely). Replaces Toro / Wheel Horse Part Numbers Fits Toro Model Number 73501, 520-H Garden Tractor, 1994, 1995, & 1996. Secondary Resistance - 37.85K?. Secondary Inductance - 59.96H. New Ignition Coil Kit. 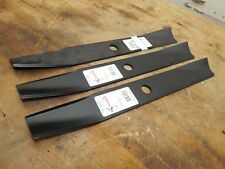 Used OEM Toro Wheel Horse 60" Mower Deck. Fits Wheel Horse Models Deck is in good used condition. OEM Part Number Save BIG on Quality Used OEM Parts! MTD Yard Machines 20hp/50" Tractor Hood USD 44.99. John Deere 316 w/Onan 322 330 332 318 Tractor Hood USD 224.99. John Deere F910 F911 F912 F925 F935 F932 Front Mow Tractor Adjustable Seat Mount USD 29.99. John Deere F910 F911 F912 F925 F935 F932 Front Mow Tractor Adjustable Seat Mount USD 29.99. John Deere 316 w/Onan 330 318 Tractor Hydraulic Line - Power Steering Outlet USD 9.99. John Deere 322 332 318 Tractor Power Steering Cylinder Steel Lines USD 24.99. This is the belt that runs from the engine to the transmission. Full list of models included below. Part No. 258-083 crosses to 114895. Toro: 107939, 108502, 112801, 114895, 8160. 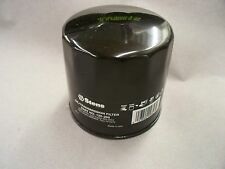 Toro 31-10K802 (310-8) - Toro 310-8 Garden Tractor (SN: 1000001 - 1999999) (1991) - DRIVE BELT AND PULLEYS. FOR SALE IS A USED, TORO, HYDRAULIC LIFT CYLINDER, REMOVED FROM A RUNNING TORO 520-H GARDEN TRACTOR. John Deere 316 w/Onan 322 330 332 420 430 318 Tractor Brake Rod Springs USD 14.99. John Deere F910 F911 F912 F925 F935 F932 Front Mow Tractor Adjustable Seat Mount USD 29.99. John Deere 322 332 318 Tractor Power Steering Cylinder Steel Lines USD 24.99. John Deere 316 w/Onan 330 318 Tractor Dash Console USD 19.99. MTD Yard Machines 20hp/50" Tractor Hood USD 44.99. John Deere 316 w/Onan 322 330 332 318 Tractor Hood USD 224.99. John Deere F910 F911 F912 F925 F935 F932 Front Mow Tractor Adjustable Seat Mount USD 29.99. Wheel horse #0542ms05 mower deck on a 312-8 tractor. 48" deck on a 93 Toro/Wheel Horse 520h. Our mission is to spread love and joy to everyone. as the topic. We would deeply appreciate your patience and understanding in this matter. Clean, used Wheel Horse Toro 520-H Front Hubcap 8”, great condition with no broken tabs! Good working valve assembly with two hoses. Wheel Horse 520-H Tractor Information Complete tractor is not available for sale. Local pickup is available. Engine - Onan P220G-I/10955G - 20HP. Model - 73501. Used Wheel Horse 520-H Garden Tractor, WIDE Rear Rims SET (2) Minor Scratches/Scuffs, and 2 DICO Tires (23x10.50x12)Tires are 50% Tread and 1 holding Air and 1 NOT. Check out all My pictures. Parts Removed From Tractor Shown In Last Photo (Complete Tractor NOT For Sale).